Ever seen an aesthetically pleasing plate of sushi with all the fresh ingredients wrapped up to perfection and wondered what it would taste like? Or maybe you just want to make your own in the comfort of your home? Well now you can! With your very own sushi making kit you can make your own plate of sushi with the fresh ingredients you enjoy the most. Impress your friends and family with your Japanese cuisine and sushi making skills. The BambooWorx sushi making kit is a decent starting kit for beginners. 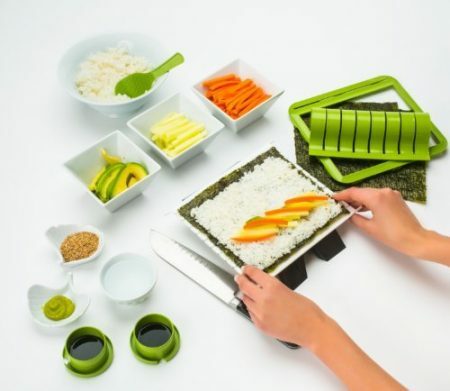 At an affordable price, it’s equipped with all the essentials to make that perfect roll of sushi, including a large bamboo rolling mat, rice paddle and rice spreader. It’s got durable construction and with regular cleaning this kit is easy to maintain, you can occasionally use mineral oil to extend the lifetime of the kit. 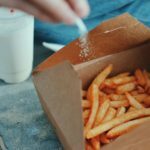 Here’s a link to a high quality food grade mineral oil you could use on Amazon. There’s no surprise this is Amazon’s best seller, it’s got everything a beginner needs to get straight into sushi making at an easy starter level. Just remember to look up a guide with instructions before getting started. The BambooWorx sushi making kit is a great way for all beginners looking to get started and make their first sushi roll. If you’re willing to spend a bit extra and get more accessories while having fun easily making sushi, the Sushiquik kit is a perfect choice. It’s got multiple accessories, including a training frame, to give you a visible guideline on how much rice to put on the mat for restaurant looking sushi. A non-stick paddle, roll cutter, 2 end caps for sauces, rolling mat, and a stand. This kit makes all sushi roll sizes and it can create rolls with the rice on the outside if you prefer it that way. We highly recommend the Sushiquik kit to anyone who has a larger budget and wants to take full benefit of having the multiple accessories. This is one of the easiest and complete sushi kits on the market at the time of writing. 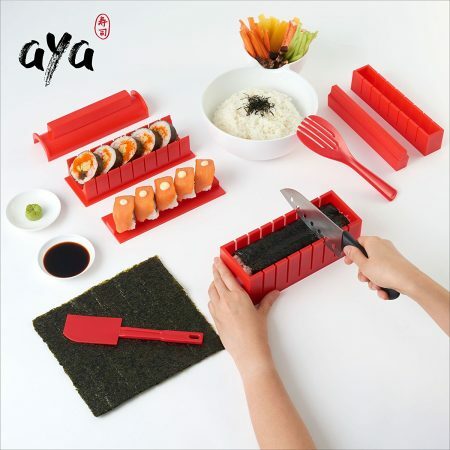 The Original AYA sushi making kit is a great all-rounder kit. With it’s 11 piece set you will have all the tools you need to make that perfect sushi roll. It comes with different shaped molds so you can get creative and have fun with the kids as this set is easy enough for them to use as well. Unlike most other kit’s, this one includes a knife that’s thin enough to fit through the slits to make the cutting much easier, which is fantastic for the price of the kit. It’s easy to clean and is dishwasher safe which makes setting up and clearing away easy, as the sticky rice can get everywhere if you aren’t careful. The Original AYA Sushi Kit is a fantastic way to get yourself an all-encompassing sushi kit, without paying top dollar for the privilege. It’s also great for anyone who wants a fuller and more fun experience while making sushi. This kit is great for the kids and parents alike to have fun creating a delicious and healthy snack together. 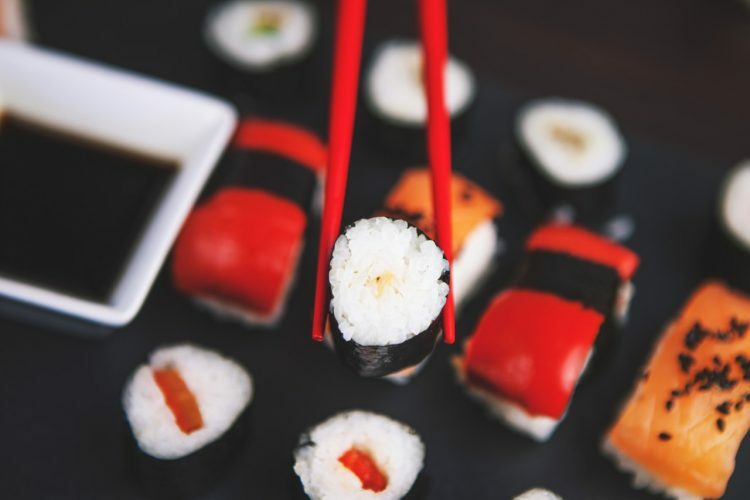 In this buyer’s guide we’ll be going over the most important features and key points to look out for when choosing your own sushi making kit. 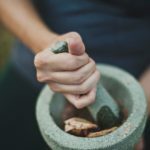 Choosing one that suits you the most is going to make the sushi making process that much easier. Before you get started we recommend you look up a guide online with instructions, for example this website food-hacks.wonderhowto.com has a complete guide on rolling sushi with tips and tricks. Or if you prefer to watch a video on the whole process of making sushi you can visit bbcgoodfood.com for a simple video guide on how to do it. Sushi making kits are usually very reasonably priced and can fit into almost anyone’s budget. However it’s important to buy one that you will get the most out of. If you’re experienced then any sushi making kit will be fine to purchase but it’s up to your preference. If you’re a beginner, a kit with more accessories may be helpful but comes with a higher cost and they aren’t always necessary. Kits that come with shape molds and roller trays along with other accessories make preparing sushi as simple as possible for beginners. 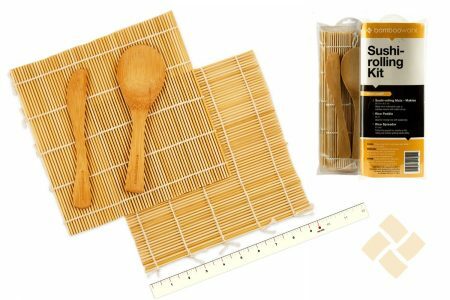 If you’re experienced in making sushi and are just looking for a kit to get back into making some or to get creative, a kit consisting of just a rice paddle and bamboo mat are a perfect choice. If you’re a beginner just starting out, then a sushi making kit that comes equipped with specific tools to make sushi are going to make it much easier. Here are some accessories you can expect to find in most sushi making kits. 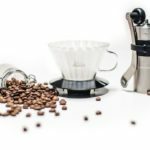 These products are the ones we feel are the most affordable and overall best ones to choose from. Sushi kits are an incredible way to encourage preparing healthy food at home while saving money at the same time. We hope you’ve been able to find the perfect sushi making kit for your own use. However if not we hope we’ve pointed you in the right direction as you now know what to look out for.